Indian finance minister Palaniappan Chidambaram on Friday said India would not be impacted by the scaling back of stimulus by the US Federal Reserve. “The money flowing into India are still modest. They are still a fraction of the overall liquidity that is being pumped into the system. I think there may not be a great impact on India” said Chidambaram at a seminar to mark 25 years of the Securities and Exchange Board of India (SEBI). US Federal Reserve chairman Ben Bernanke’s remarks about the possibility of scaling back of stimulus with improvement in economic conditions sent the global stock markets including that of India into a tizzy. “The volumes (of FII money into India) are still modest if you look at the total money that is being pumped into the system. So while QE will certainly hurt all countries, if you take all countries together, I don’t see why we should not get what we are getting even if they withdraw from Quantitative Easing,” Chidambaram said. The finance minister also urged Indian investors to focus on tapping huge investment opportunities within the country, especially in the infrastructure sector, which offers long-term benefits, instead of in foreign countries. “Many of you think that the risks of investing abroad are less than the risk of investing in India. That is another short-sighted view. 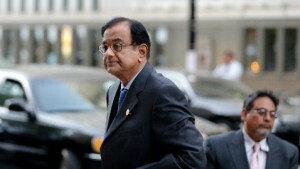 The long term benefits of investing in India outweigh the benefits of investing abroad,” said Chidambaram. The most important challenge before the country is to revive the investment cycle, he said. “I would urge investors to rebalance the portfolio and invest more in India. This is where the market is, this is where the market will shift, this is where the demand is, this is where demand will continue to be robust over the next 20-30 years. Indian investors must invest more in India rather than invest abroad,” said the minister. The government has set up a Cabinet Committee on Investment, under prime minister Manmohan Singh, to accord fast track clearances to large infrastructure projects. Chidambaram said a large amount of money is flowing into India. In 2012, India received a portfolio investment of $ 31 billion and till mid-May this year, the FII investment is $17 billion. “We need to maintain the momentum” said the minister.